A fibroid tumor is a solid, bumpy growth, usually benign (99% of the time), located on the outside wall, inside wall, or in the muscular tissue of the uterus. The general technical names for such a growth are myoma or leiomyoma. Clinical studies indicates that fibroids are aggravated by an excess of oestrogen in the body and that fibroids can be shrunk successfully simply by getting the oestrogen levels back into balance. The first step in addressing uterine fibroids is identifying the precise cause. Levels ß-estradiol, progesterone, and testosterone should be measured over the 28-day menstrual cycle. More in-depth tests of estrogen metabolism would include measurements of the estrogen metabolites 16-alpha-hydroxy-estrone and 2-hydroxy-estrone. The former is strongly active and stimulates tissue growth, whereas the latter is a weaker metabolite and may slow cell proliferation. Chasteberry: Chasteberry is an herb that is also known as Vitex agnus-castus. 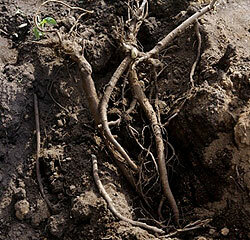 The plant is a deciduous shrub that is native to Mediterranean, European and Central Asian countries. Vitex has slender leaves and dark purple berries that have a long historical and medicinal use in ancient Greek and Roman times. Monks commonly ingested this herb during the Middle Ages to help suppress sexual desire, which led to the inception of its more common name–chasteberry or chaste tree. According to herbalist Jessica Godino, chasteberry can help to regulate female hormones and stimulate your pituitary gland. This herb specifically helps to increase progesterone and decrease estrogen, which makes it an effective remedy in cases of excess estrogen. Vitex does not contain specific hormonal building blocks. Instead, it contains constituents that help to nourish your endocrine system and enhance your body’s ability to obtain hormonal balance naturally. of the uterus, preventing cramping, and reducing menstrual pains. Motherwort relaxes the uterine muscles, regulates menstruation, balances hormones and reduces heavy bleeding especially when mixed with red raspberry. To prepare a infusion, pour a cup of boiling water onto 1-2 teaspoonfuls of the dried herb and leave to infuse for 1 0-15 minutes. This should be drunk three times a day as needed. 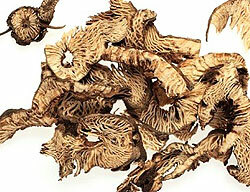 Siberian ginseng : prevents heavy bleeding. Used for over 4000 years in Chinese medicine, ginseng is used to combat anemia caused by heavy bleeding and maintains energy levels. 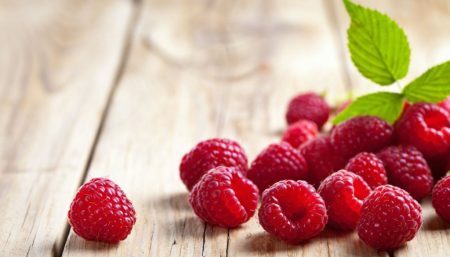 Like red raspberry, Siberian Ginseng contains properties that support adrenaline gland and enables the body to cope with physical and mental stress. It also reduces blood clotting especially when mixed with red clover. Red clover: helps the liver get rid of excess estrogen. 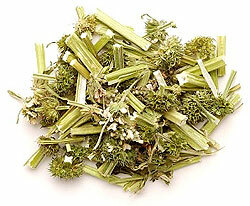 Goldenseal: reduces inflammation, keeps uterine tissues healthy. 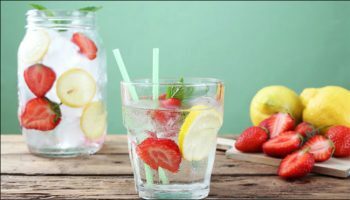 It contains high levels of a compound called alkaloid berberine, which tones the uterine wall tissue and hinders the development and growth of fibroids. The suggested daily dosage for goldenseal is 400 mg. Goldenseal should not be used on a daily basis over a long period of time. 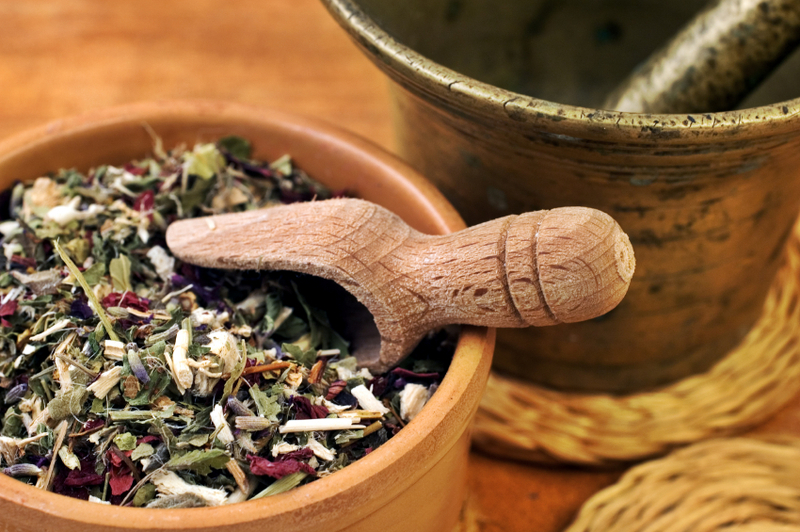 You should consult your physician before taking an herbal supplement. Echancia: controls benign tumors and reduces inflammation. 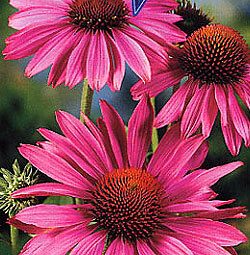 The rich content of polysaccharides and phytosterols in echinacea are what make it a strong immune system stimulant. The polysaccharides act as immune stimulants by increasing the levels of white blood cells. They also inhibit the breakdown of cell walls, so that pathogens cannot easily invade cell tissues. Echinacein and several isobutylamides are responsible for the local anesthetic effect and some of the anti-inflammatory activity of echinacea. 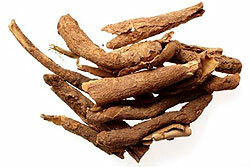 Licorice root: is used to treat fluid retention, helping with bloating and weight gain during menstruation. The Mjölbolsta Hospital found people taking Licorice over 8 weeks retained less water and normalized blood pressure levels. Licorice Root is also used to calm the digestion, and when combined with Red Clover, supports the liver in breaking down excess estrogen. 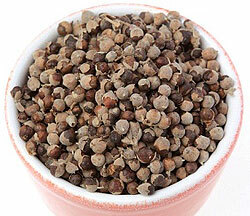 It assists the adrenal glands and it has anti-inflammatory and anti-allergic properties. Black cohosh: relieves menstrual pain, and works with problems linked to menopause, protects liver and is an anti-inflammatory. Phytoestrogens are the primary nutritional supplements used for balancing women’s hormones. These are plant-derived estrogens that, although they are not identical to human estrogens, weakly stimulate estrogen receptors. The most well-known phytoestrogens are black cohosh (Cimicifuga racemosa) and soy isoflavones. Interestingly, phytoestrogens can help with both low estrogen (by acting as a weak estrogen) and high estrogen (by competing with stronger estrogens for the limited receptor sites). Black cohosh has a long history of use for hot flashes, the most difficult symptom of estrogen-deficient menopause. Dong Quai: protects liver and is an anti-inflammatory. Dong Quai has two very different effects on the uterus, it has the ability to stimulate contractions and also to relax the uterus thus inhibiting contractions. Which effect you get depends on how you prepare the herb. Dong Quai’s relaxing effect on the uterus comes from the volatile oils contained in the root. Volatile means that the oils are easily destroyed. When the desire is to capture them, brew a medicinal tea or infusion. “Studies indicate that dong quai hot water extract regulates uterine and intestine contractions, relaxes the uterus and even inhibits spasms.”1 The relaxing effect of Dong Quai is useful for dysmenorrhea (painful menstruation). You can use any one of these herbs or combine them to make a tea. Prepare by adding a small handful of herbs to a pot of boiling water. Steep for five to ten minutes and drink three times a day. Alternatively you can buy these herbs in capsule or tincture form. By taking them regularly, fibroid tumors have been known to shrink within two months. NOTE: Exercise is an important element for helping the body to rid itself of toxins. Paying attention to your diet is another essential ingredient for health, with concentration on green super foods such as algae and wheat grass. Blackstrap molasses and apple cider vinegar are excellent choices for cleansing the body, with molasses helping with heavy bleeding. Placing a warm castor oil pack on your stomach is another alternative that can help to reduce the size of fibroid tumors. 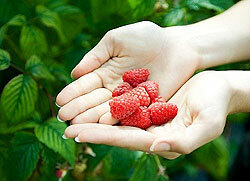 Weight Loss Raspberry Ketones: A Slimming Option Or A Farce?